Dave Brubeck mixes old and new compositions in these outstanding studio sessions recorded in early 2004. The pianist not only composes a formidable output of inventive new works on a regular basis, but he maintains a distinctive sound at the piano, one that grows even more adventurous over time. 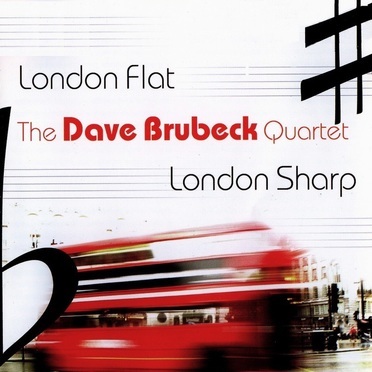 "London Flat, London Sharp" is a typical new composition from his later years. When alto saxophonist Bobby Militello first heard it, he wasn't sure he could play it, as Brubeck's left hand moves chromatically down the scale in flats as his right simultaneously moves up in sharps at a brisk tempo. But Militello, like any musician who has worked regularly with the pianist, responded to the challenge and turns in a blistering performance, with the support of Michael Moore (one of the very best all-around bassists), longtime Brubeck drummer Randy Jones (whose tenure as Brubeck's drummer exceeded 24 years at the time of these sessions), and the composer; it has since become a part of the quartet's concert repertoire. "To Sit and Dream" is an excerpt from a commissioned work ("Hold Fast to Dreams") in which Brubeck set the poems of Langston Hughes to music. Beginning as a lush, deliberate solo, it quickly turns into a wailing number. One non-Brubeck composition is the haunting, beautiful "Steps to Peace," composed by Derrill Bradley after his daughter was killed in the crash of the hijacked Flight 93 on September 11, 2001. Militello switches to flute for this moving ballad. "Yes, We All Have Our Cross to Bear" was jointly written with Brubeck's goddaughter Nancy Wade and premiered in a 2002 concert with the pianist by Choral Arts of Chattanooga (a studio recording, Brubeck in Chattanooga, was recorded at the same time and released in 2004, with both vocal and instrumental interpretations). This loping quartet arrangement showcases a tasty solo by Moore and a reverent solo passage by Brubeck. The remainder of the CD focuses on works previously recorded by the pianist. "Mr. Fats" is a tribute to the stride piano chops of the always swinging Fats Waller, though his boogie-woogie bassline salutes Cleo Brown, a fine keyboardist who introduced the young composer to Art Tatum in the 1940s. Along with "Mr. Fats," the three compositions "Cassandra," "Forty Days," and "Unisphere" have been a regular part of Brubeck's concert programs, yet the group finds something fresh within all four of these decades-old pieces. "Ballad of the Rhine" began life as "We Crossed the Rhine" in the 1940s when then-Private Brubeck wrote it to play with his Wolf Pack Band to entertain troops in Europe during World War II. Brubeck reworked it into a stunning solo ballad while his bandmates took a break. This is yet another superb CD by the prolific and ageless Dave Brubeck.